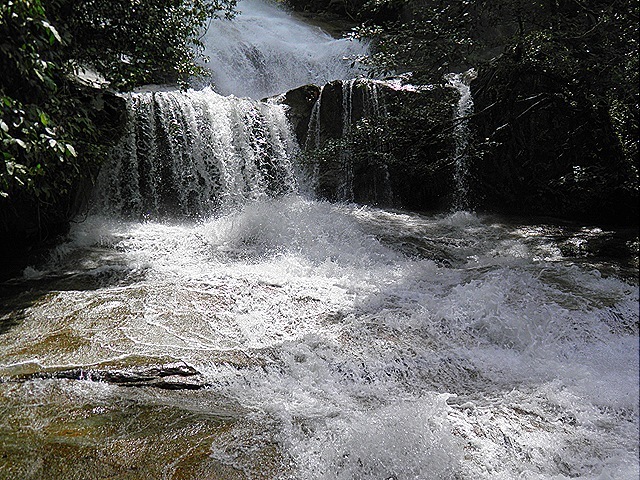 Yesterday I went for a hike to Lata Medang, a remote and seldom visited waterfall near Kuala Kubu Bharu (KKB). 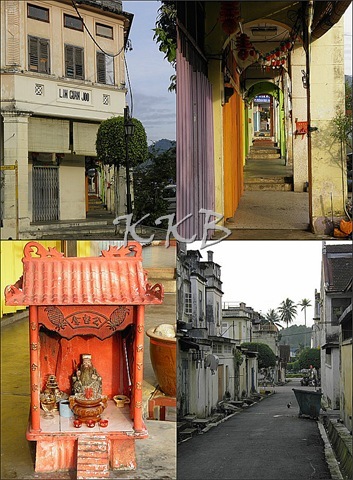 KKB is a pleasant small town situated on the road to Fraser’s Hill. The start of the trail is a few kilometers out of town near the village of Kampung Pertak, just past the Selangor Dam and reservoir. This is Orang Asli country and some of them were displaced when the reservoir was built. The Government built quite a smart looking village for those affected. I was accompanied by two Dutch friends including Jan who is the author of the website Waterfalls of Malaysia. He has been to Lata Medang three times before and knew the way which is just as well because I don’t think I would have found it on my own. The distance walked (there and back) was about 12km and it took 6 hours including time for lunch and a soak at the falls. The start of the hike passes through old rubber plantations and durian orchards. The durian is in season now and the villagers were harvesting this valuable crop. There are a couple of rickety bridges to negotiate along the way. Considering how few people use the trail it is quite clearly defined but there are a few forks in the path providing ample opportunity to go the wrong way. Jan frequently checked his GPS in order to check we were on the right trail. One of these forks leads to Bukit Kutu, a 1050m mountain which I would like to climb on a future trip. On the top are the ruins of a sanatorium and residence built as a hill station during British colonial times. Seems odd that anyone would want to build a sanatorium in a place whose name translates as ‘Flea Hill’ but that’s the Brits for you!. We saw no animals on the trek, no snakes either thankfully, just a lot of bugs such as this millipede. All three of us were visited by leeches. I managed to flick mine away before they extracted an involuntary blood donation. 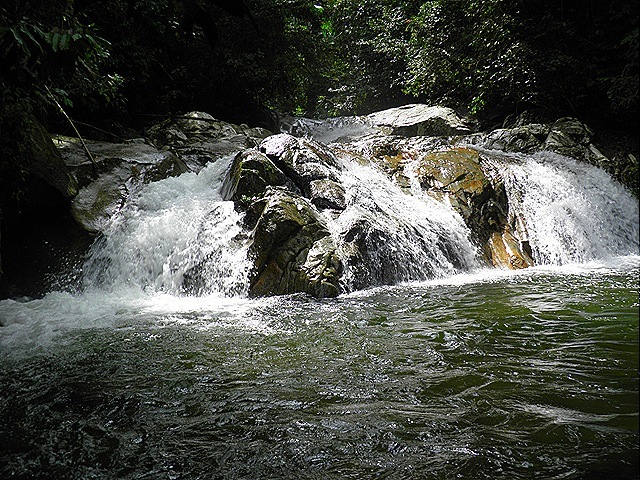 The first waterfall we stopped at is called Lubuk Mecu, a lovely spot with clear and refreshingly chilly water. We had a swim and lunch here. The area is very clean with no litter. Let’s hope it stays that way. Lata Medang is only 200m from here but there is no clear path. You need to scramble through bamboo forest, clamber over rocks and walk in the river to reach it. Here my expensive Timberland boots decided to fall apart (the sole fell off). Fortunately I was carrying a new pair of kampung adidas, a type of basis Malaysian-made rubber shoe favoured by rural workers and the guides who climb Mt. Kinabalu. They are not very stylish but practical for walking in rivers (and cheap – I paid RM8 for mine). 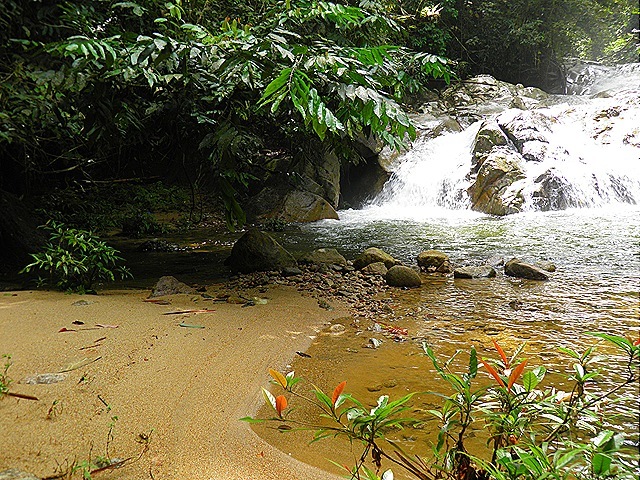 Finally we made it to Lata Medang which was looking lively after the recent heavy rains. 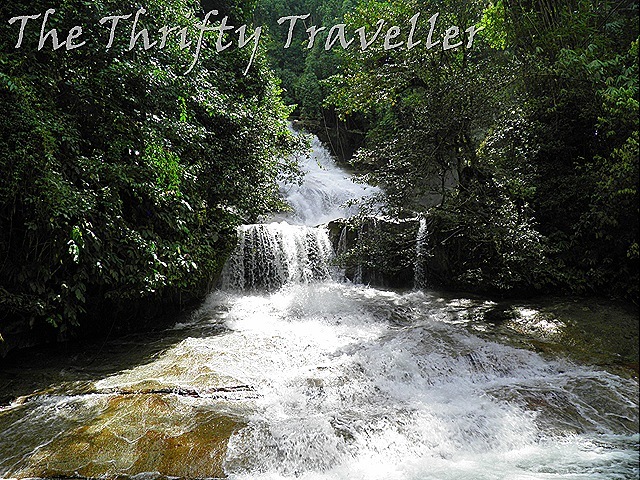 If you want to go there, Jan will soon be writing a page on his Waterfalls of Malaysia website with instructions on how to get there.